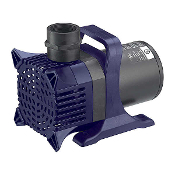 The Alpine Cyclone Pumps are energy efficient, versatile, and durable. 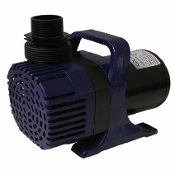 Cyclone Pumps are fitted with oil free, epoxy protected asynchronous motors, making them highly repairable, light on electricity, and can be fitted with a rheostat for adjustable flow and even greater electrical savings. These pumps feature ceramic shafts for long life and have an easily removable and replaceable vortex impeller. You can also use these pumps both in and out of the water and come complete with a 33' cord. Alpine offers a 3 year limited warranty. Available in sizes from 2100 gph to 10300 gph sizes. Pump # Max Height Max GPH 1 ft. 5 ft. 10 ft. 15 ft. 20 ft. 25 ft.